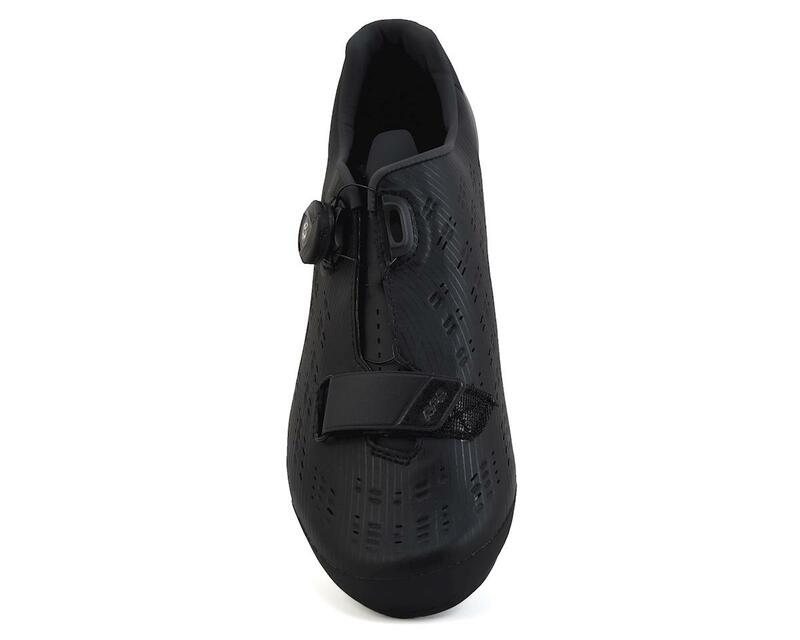 This is the Shimano SH-RP9 Road Bicycle Shoe with carbon sole and Boa closure. Shimano's flagship road performance shoe has been completely redesigned, bringing you unparalleled comfort and efficient performance on long rides. With a more aggressive heel cup, the shoe has a locked in feel on even the hardest sprints. A synthetic leather upper with perforated venting comfortably hugs your foot and creates a relaxed, roomy forefoot and toe box you can pedal in all day long. A single Boa dial allows you to adjust the closure with micro precision, to your personal preference. 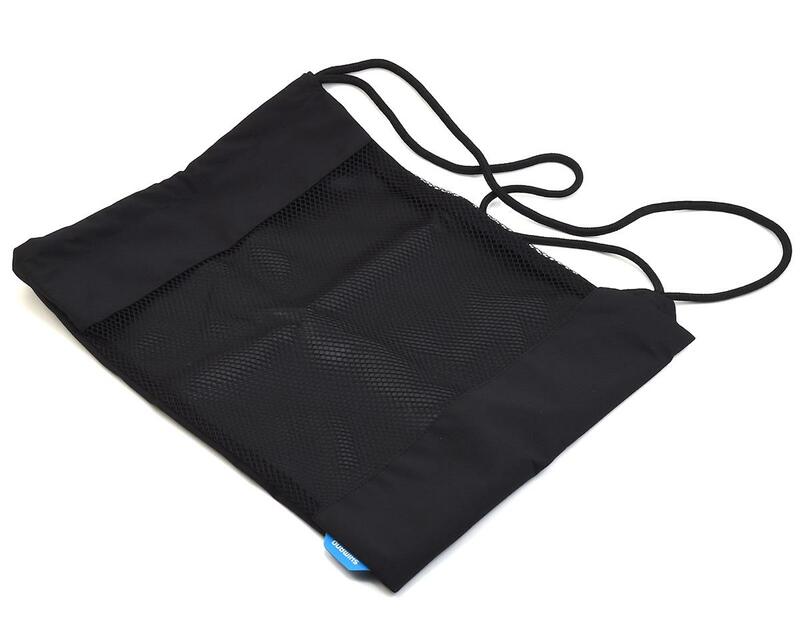 Removable insoles with interchangeable foam arch supports provide additional customization. 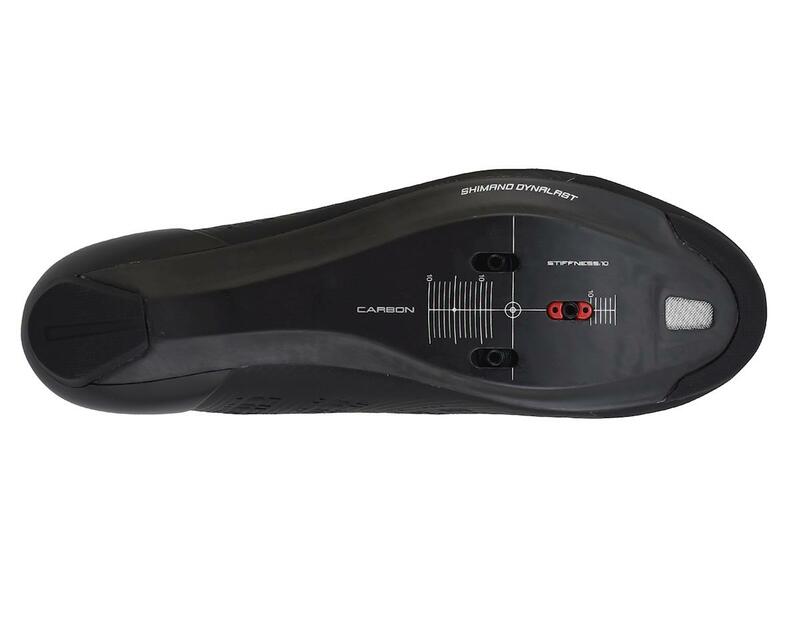 The full carbon sole facilitates maximum power output with every pedal stroke, and is rated 10 out of 12 on Shimano's stiffness scale. This high performance shoe with a focus on endurance has upped its game again, with lighter weight, and improved fit and feel, you get all the high end features of a racing shoe with a comfort you can take with you on the long miles. 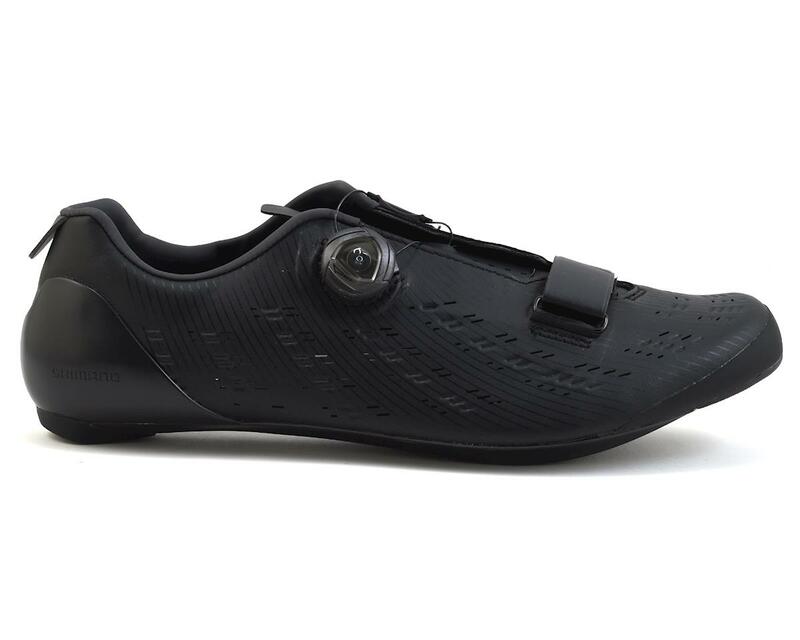 The RP9 is an easy choice for a go-to road shoe. Light carbon composite outsole for optimized long ride stiffness. Powered by AMain.com, Inc. Copyright © 2019 Nashbar. All Rights Reserved. All original wording and photographs used on this website are the property of Nashbar, and may not be used without prior written consent.